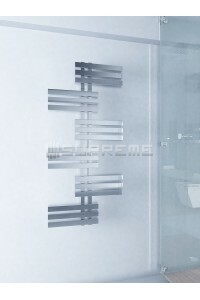 ***Looking to upgrade your bathroom with some nautical lyxe? 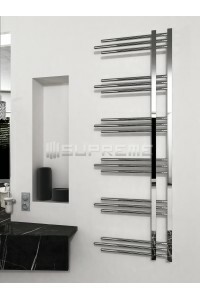 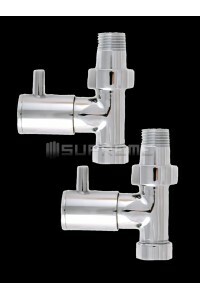 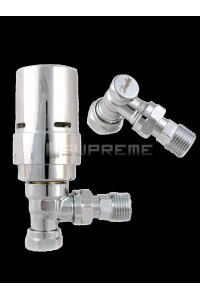 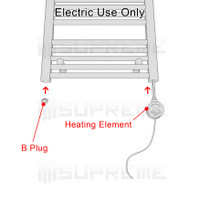 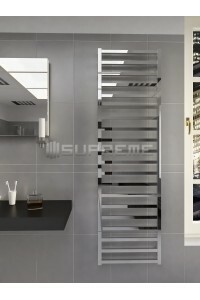 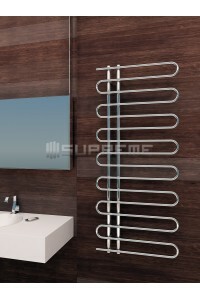 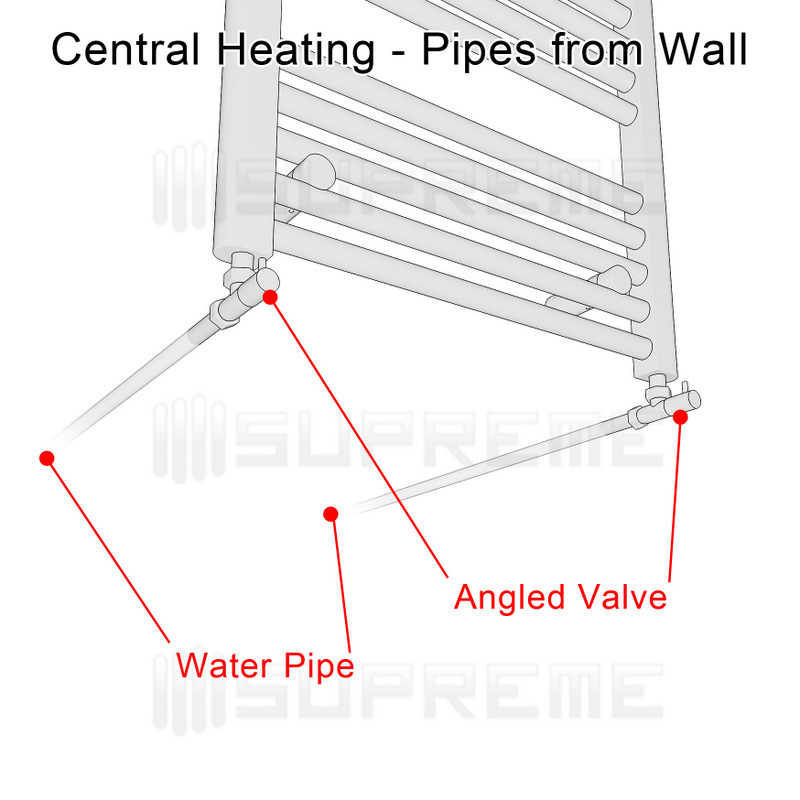 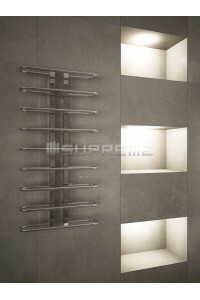 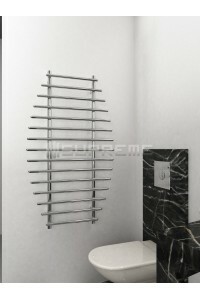 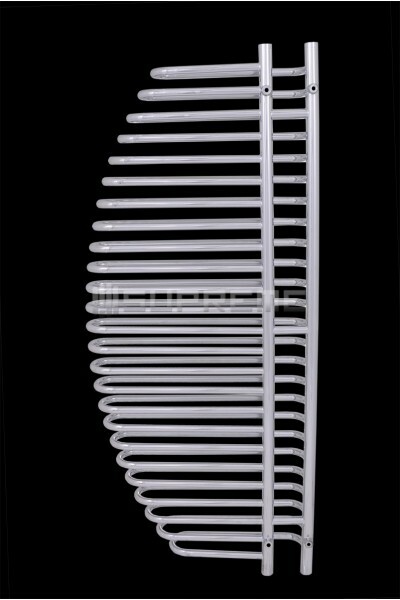 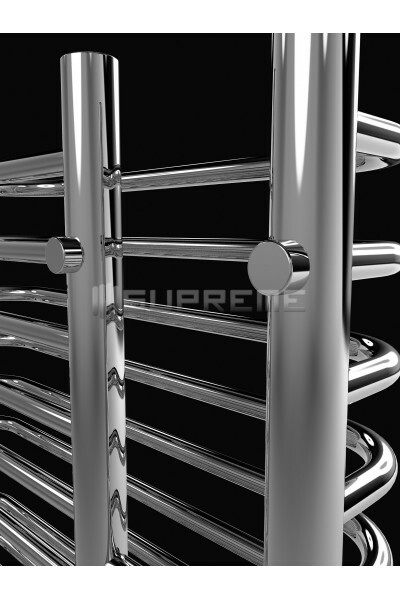 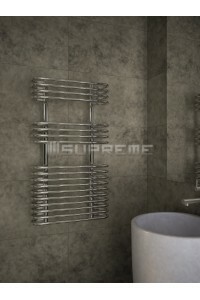 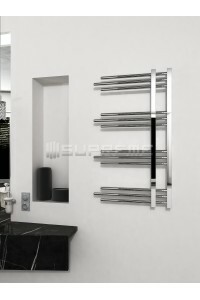 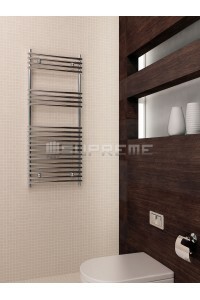 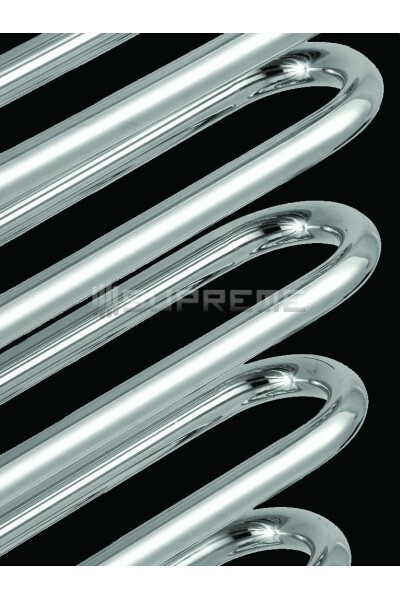 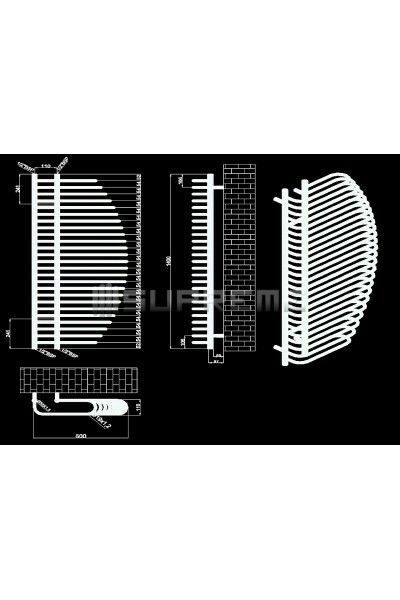 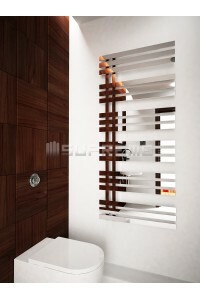 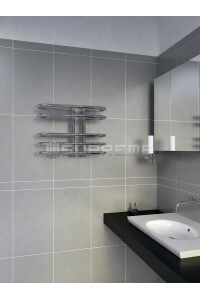 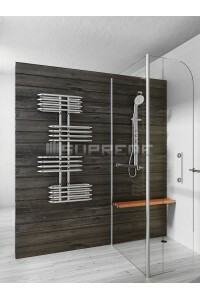 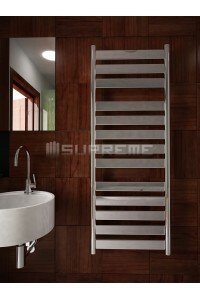 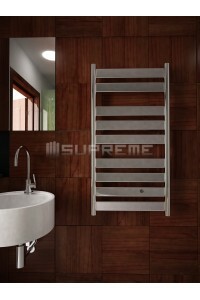 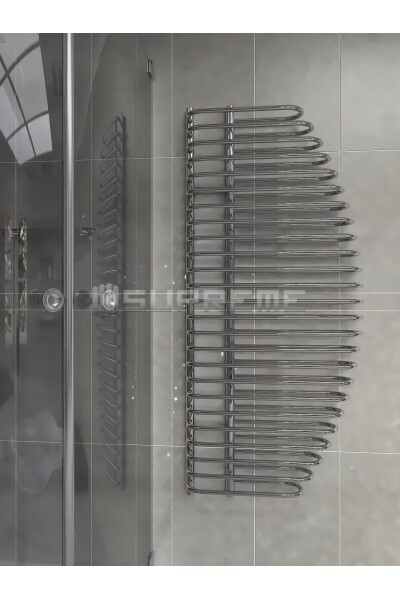 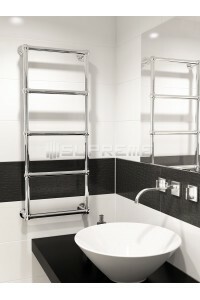 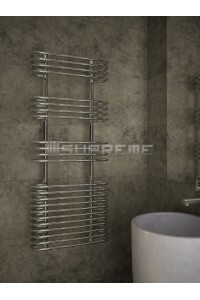 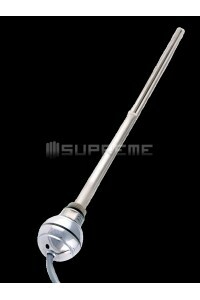 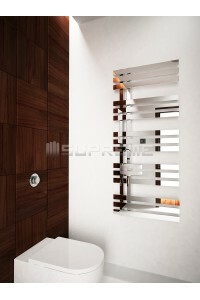 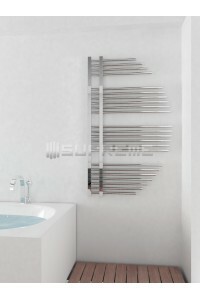 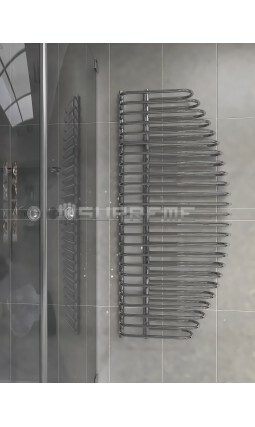 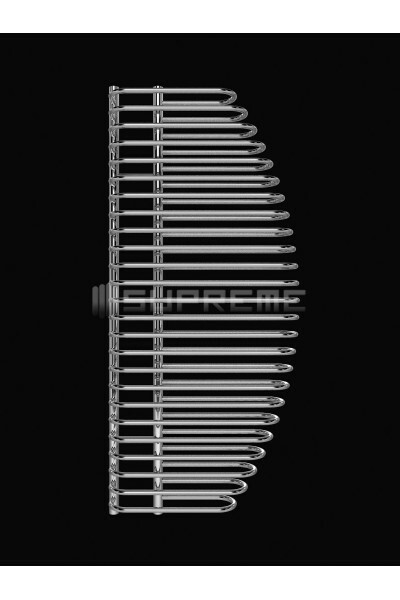 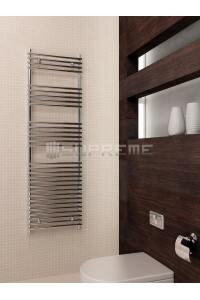 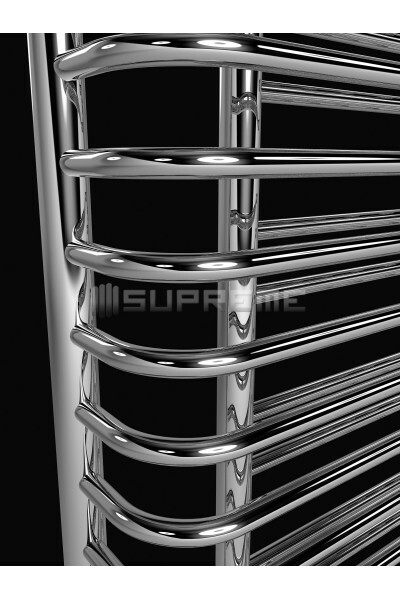 Then the Supreme ARM designer towel radiator might be just what you are looking for! 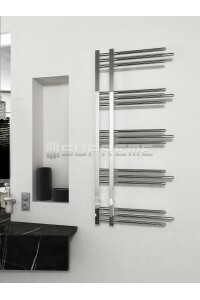 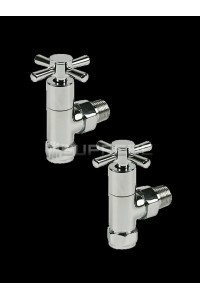 Inspired by a ship's sail, the chrome-plated pipes curve around the structure, creating a three-dimensional statement piece that serves to heat both your towels and your bathroom. 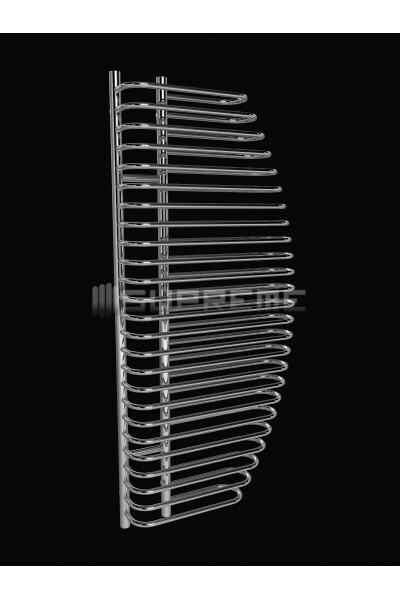 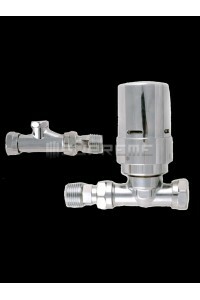 This handmade model measures at 600/1400mm and can be heated using electric or hot water systems, however, due to the individually crafted nature of the product, the measurements may vary by 0.5cm. 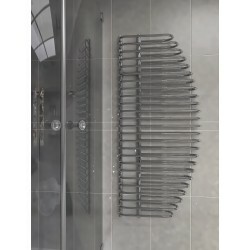 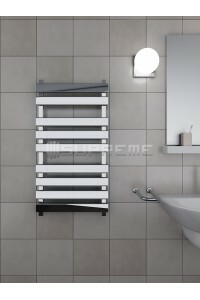 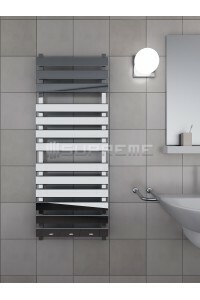 Mounted on your wall, this towel radiator has the ability to upgrade your entire bathroom look! 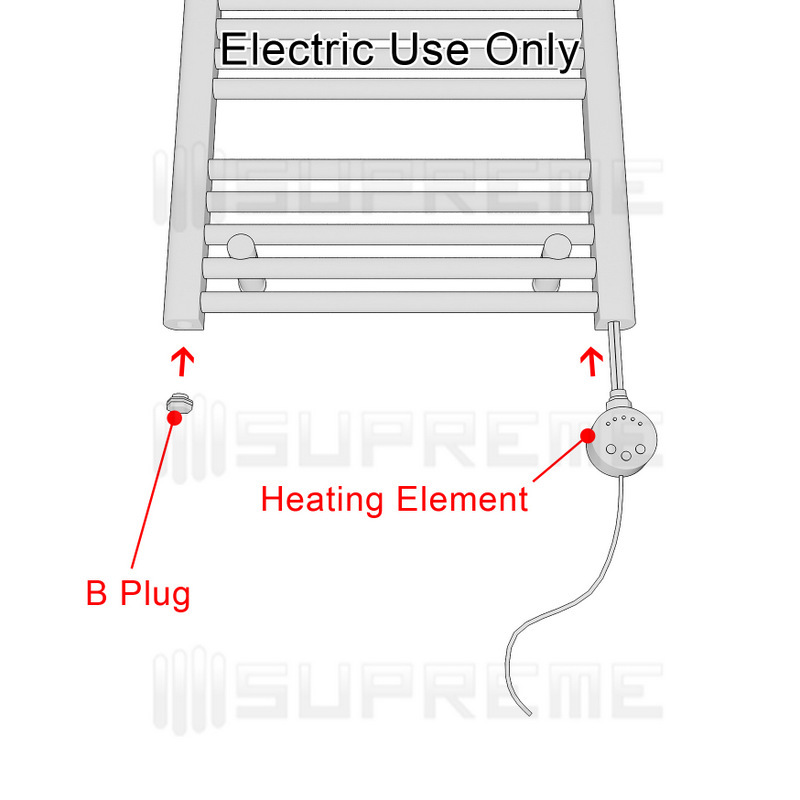 Yes of course. 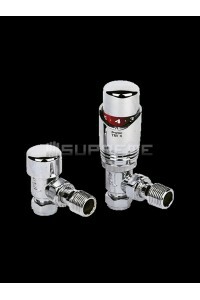 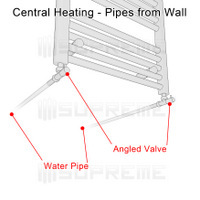 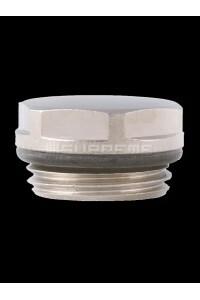 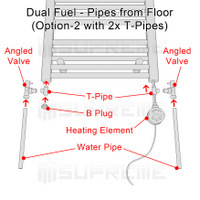 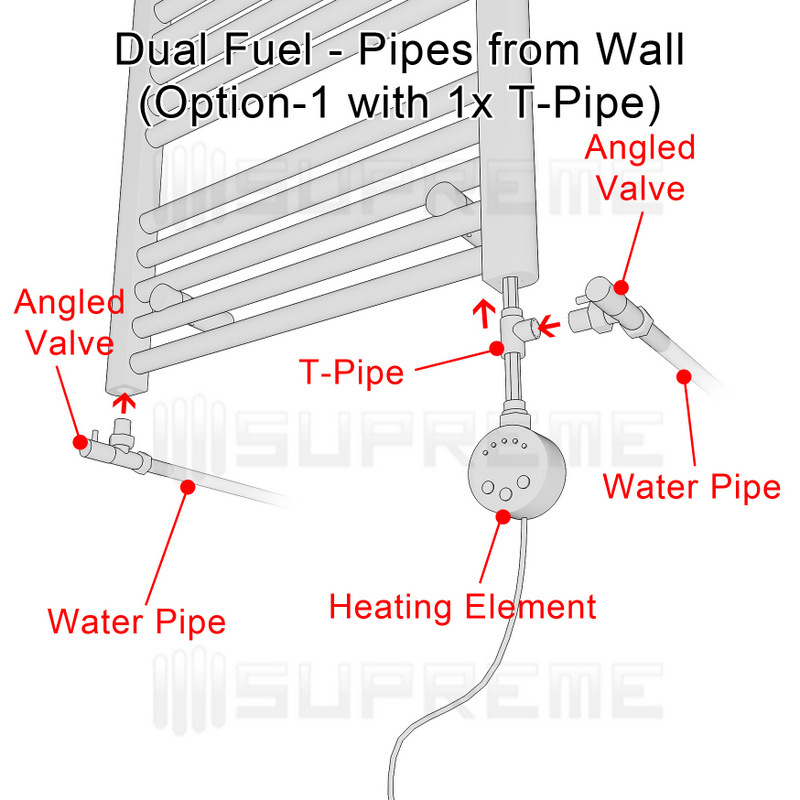 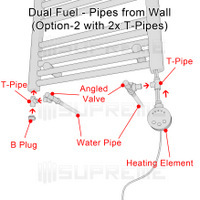 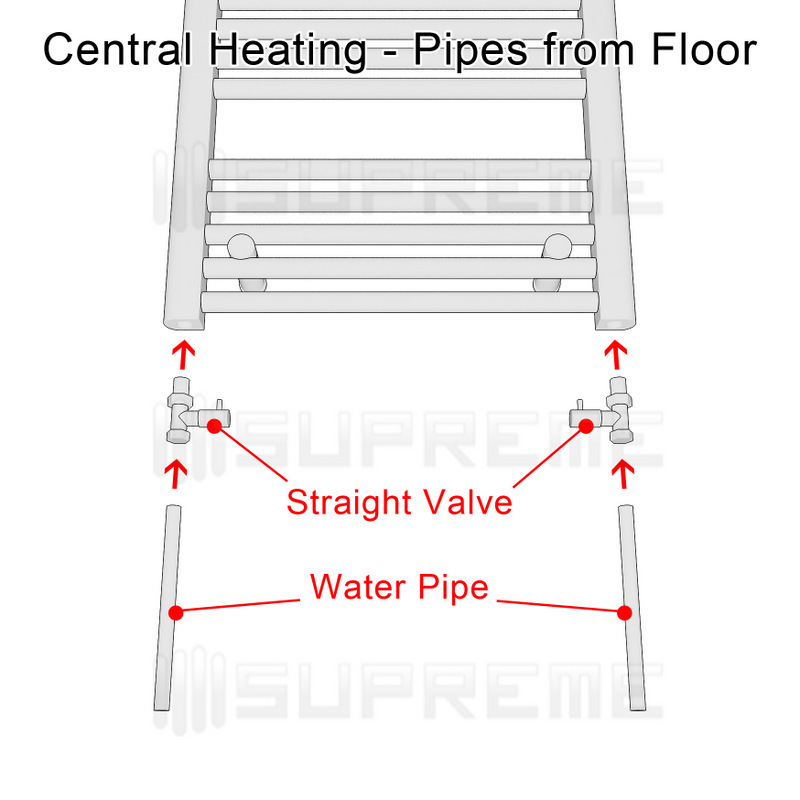 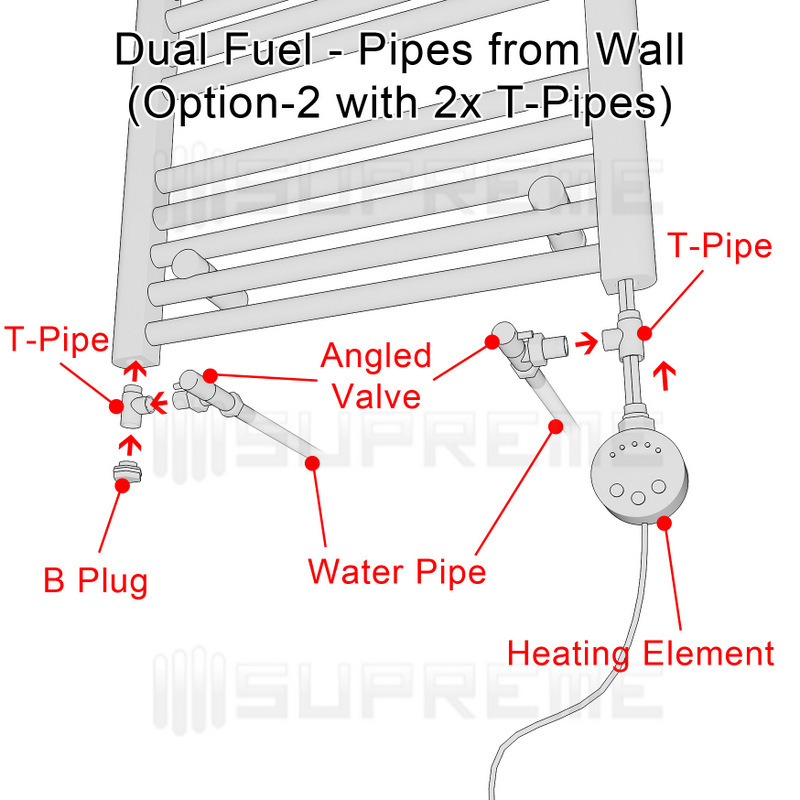 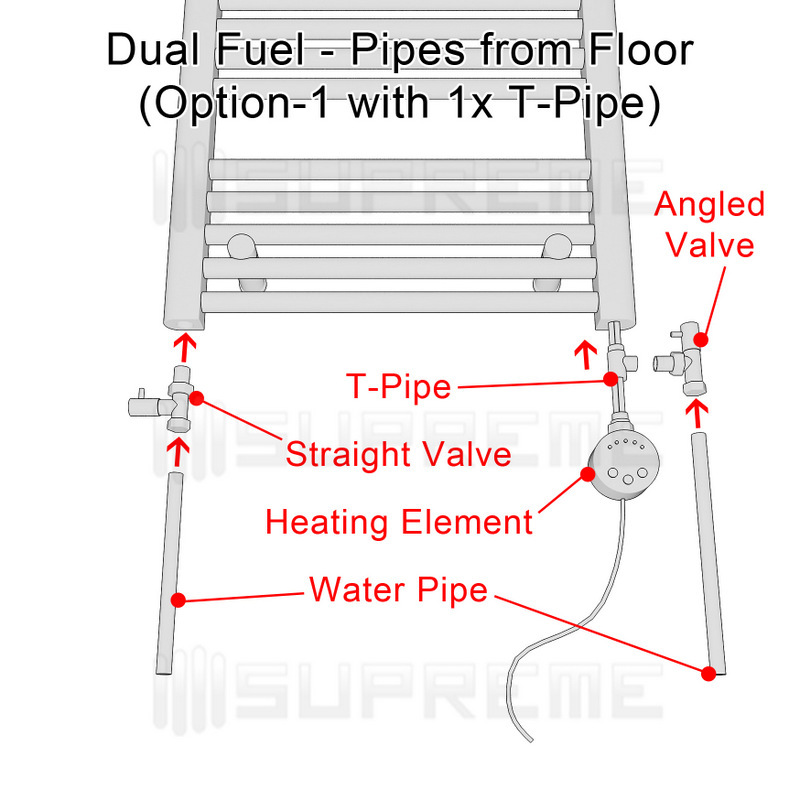 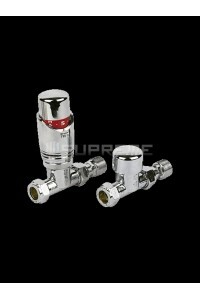 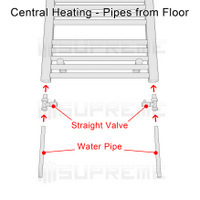 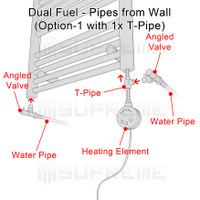 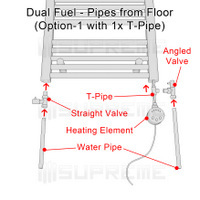 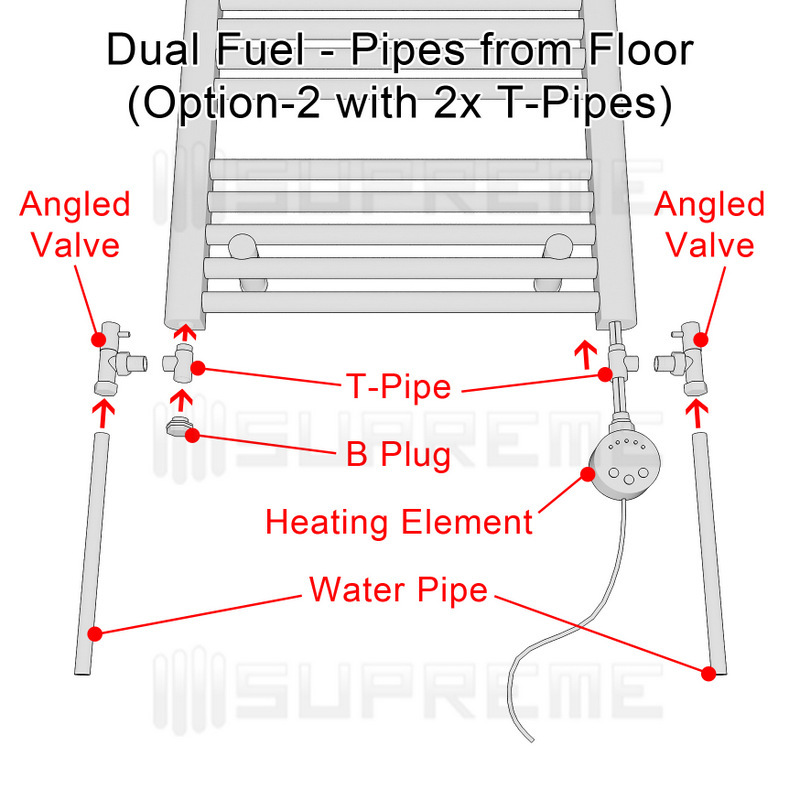 But all the pipe connections must be made from the bottom vertical pipes of the product.